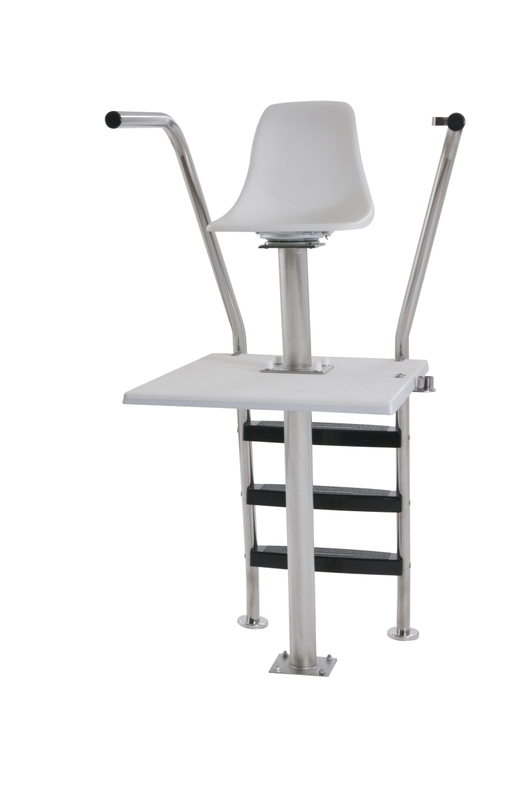 The perfect design for facilities requiring permanent installation. 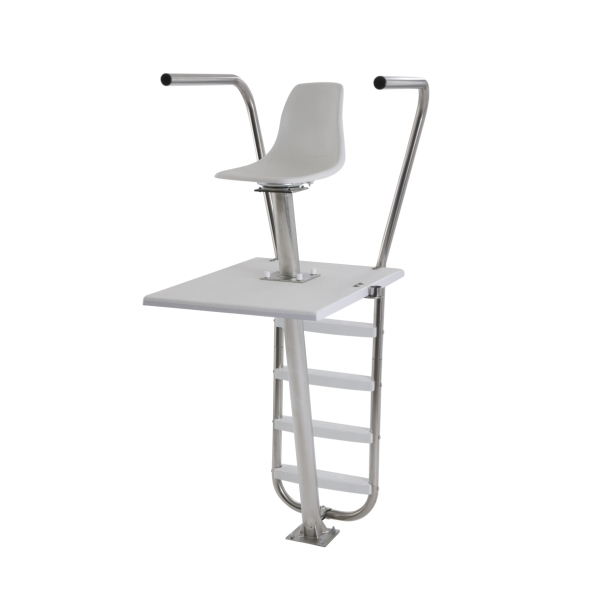 These chairs have an extended observation platform (footboard), and will swivel 360 degrees adding improved visibility of the entire pool.All Lifeguard Chairs F.O.B. Factory.